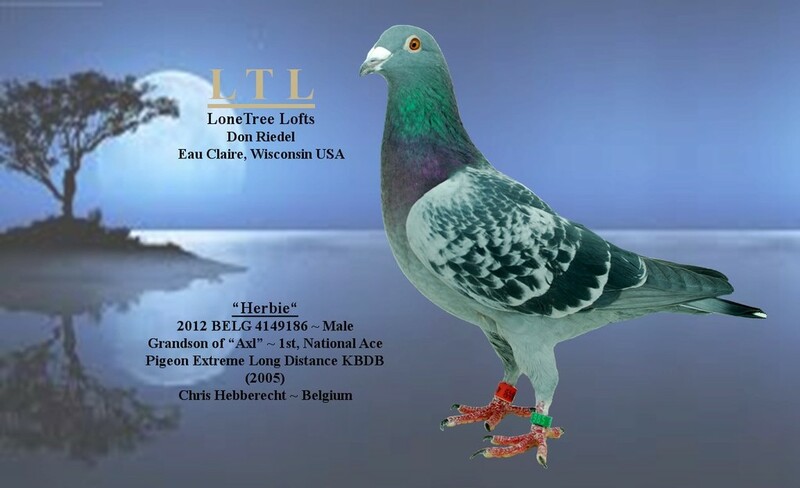 In 2005, Axl won the prestigious title of 1st national Ace Pigeon extreme long distance KBDB. After this title, Axl was immediately put into the breeding loft. He won the title with following results: 24th national Barcelona against 13 066 pigeons 51st national Perpignan against 7611 pigeons Bourges National 908/19606 bds / Perpignan National 52/4086 bds / Barcelona National 24/13066 bds / Barcelona International 49/5815 bds Perpignan National 51/ 7611 1st Nationale Asduif Grote Fond KBDB 2005 Father and mother of this super pigeon are the super breeding pair Jef & Francine.